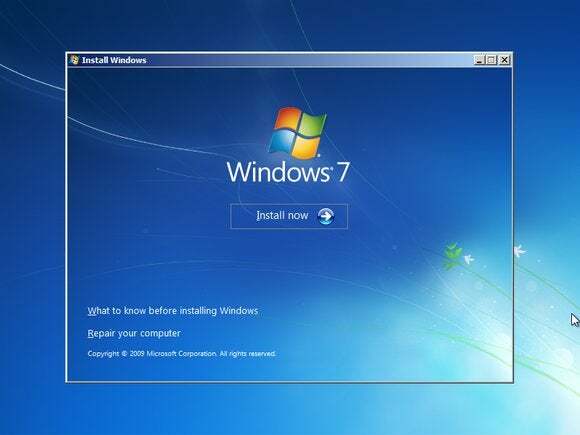 Microsoft may have republished its botched August update, but some Windows 7 users are reportedly still having problems with Windows Update. Fortunately, they've also found a simple solution. On Wednesday, Microsoft reinstated its August update, which had caused font issues and system crashes on some machines. The problem, however, was that even though the new 2993651 update cleared up the issue, Microsoft still recommended that users manually purge security update 2982791, through a process that involved wading through the registry. And that caused its own set of issues. A number of threads have cropped up on Microsoft's support site complaining that the update has apparently disabled and/or corrupted Windows Update. Windows IT Pro listed about five, including this thread, which directly addresses the problem. First, try downloading the System Update Readiness Tool found near the bottom of the linked page. Microsoft notes the update process could take 10 minutes or so, and your hard disk may be accessed quite a bit during the process. The easier solution, and the one that seems to work, is simply to change your DNS settings to use Google's DNS servers, with the IP addresses 8.8.8.8 and 8.8.4.4. (If you're not sure how to do this, Google offers a step-by-step guide on its Google DNS page.) This simply tells your computer or router to contact Google rather than your Internet service provider to get the IP address of a web page. If you can't change the DNS settings for your router, you may just have to set them for each Windows computer on your home network. No one seems to be quite sure why this works, only that it does. As Windows IT Pro points out, it might have something to do with the problems that Time Warner Cable customers had accessing Microsoft's Web sites. Keep in mind that by routing your Internet traffic through Google's servers, you're explicitly telling Google what websites you're visiting and what content you're accessing, instead of your ISP. That may or may not be a concern, depending on your attitudes toward Internet privacy and who you trust with that information. One alternative to Google's DNS services is OpenDNS, which provides similar services, although mistyped queries are sent to a landing page that will serve you ads. We can't say for certain whether using OpenDNS settings will solve the Windows 7 problem, however. Nevertheless, if you're still struggling with the recent updates, give it a try.